The Cascade wood cornice comes with clean lines and a tiered design for a modern styling. Custom size this cornice by providing the opening width and depth dimensions so it will fit your window or window treatments. Refer to the diagram below. The package will include Cornice Installation Instructions and hardware. 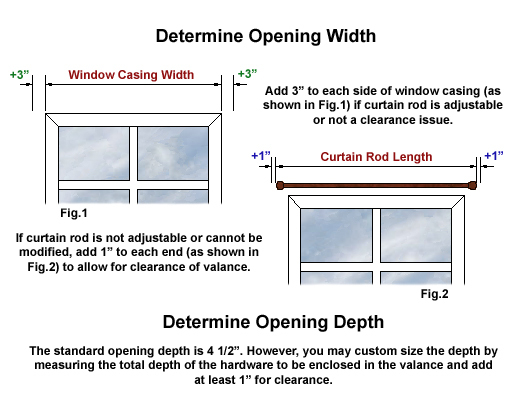 Easy cornice installation instructions! Overall Height Top to Bottom = 6"
Overall Length at Top = Cornice Opening Width plus 3 "
Standard Opening Depth = 4 1/2"
Overall Depth at Top of Cornice = Opening Depth + 1 1/2"
Click the button below to add the Cascade Wood Cornice to your wish list.